Review: Sherlock Holmes and Mr.Watson go on their latest battle. This could threaten all of England. Brilliant!! Great work by Guy Ritchie. Good script. I also liked the fact that they filmed in London which is quite rare. Sherlock Holmes and Mr.Watson are like two bickering old men. 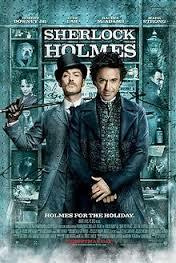 To prepare himself for the part Robert Downey Jr. read Sherlock Holmes stories and also watched The Adventures of Sherlock Holmes. At the Golden Globe Awards in 2010 Robert Downey Jr. won Best Performance by an Actor in a Motion Picture – Comedy or Musical. One film critic wrote “Sherlock Holmes has something for everybody; an accessible film is exactly what Guy Richie’s been looking for”.